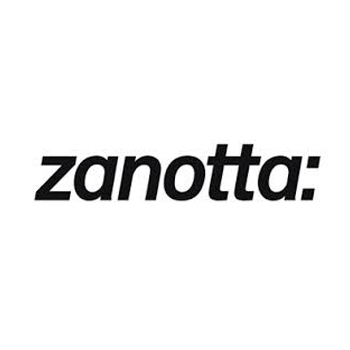 Zanotta - The history & nbsp; The company Zanotta & egrave; was created in 1954 and over the years it is has become a real point of reference in the Italian design sector. Since the 1960s, the company under the authoritative guidance of its founder Aurelio Zanotta, has begun to expand on the international scene thanks to the creation of products resulting from great technological innovations combined with attractive shapes. L & rsquo use of production processes at the forefront and constant research both in terms of new materials and their wise use, has made this brand unique and recognizable. Zanotta & egrave; always in step with the times but it does not follow the fashions: it dictates itself by imposing itself on the market with always new and different products. The articles conceived by this brand radically transform the culture of living, making it more and more; functional and impeccable both from the point of view of aesthetics and functionality. ; & nbsp; The Fifties and Sixties were rich in innovation and very fruitful for the evolution of modern design. Brands that were on the market at that time and knew how to understand their potentialities; they have made their way and today they impose their presence on the market with innovative and particularly coveted accessories. The Zanotta brand belongs to this category of Italian brands that has been able to win the trust of its customers through the commitment, new proposals and large investments in the research sector. The company Zanotta has always worked with renowned international designers and architects such as Gae Aulenti. Achille and Pier Giacomo Castlioni, Carlo Molino, Joe Colombo, Ettore Sottsass, Marco Zanuso, Ross and Roberto Barbieri. Thanks to the brilliant ideas of these professionals, in the history of Zanotta many products have become iconic, authentic long-sellers. The company collections currently develop in different sectors: from sofas to furniture, chairs, bookcases, tables, armchairs but also other furnishing complements. Each object is created through the use of specific technologies that allow an advanced use of traditional materials such as crystal, granite and marble, wood, leather, fabrics as well as aluminum, brass, stainless steel and bronze alloys. Since 1989, the company has expanded its proposals by creating the Zanotta Edizioni collection. In this particular collection, furnishing objects are proposed that can be combined with the applied arts. They are not produced in an industrial manner and have a strong manual component that makes them unique, inimitable and never the same. In this collection, manual art techniques are taken that would otherwise risk being almost forgotten like the mosaic, the pictorial decoration and the precious inlay. The various objects are made in small series with limited numbering to increase their value. & Nbsp; Over the years Zanotta has never stopped growing and it is; open to new production scenarios. It has significantly expanded the production and creation of innovative outdoor furniture objects. The company collections are continuously increasing and are constantly updated with new features; that is always worth knowing. Zanotta is currently involved; one of the most prestigious design brands at the world level and one of the most important; complete. Many projects are cited and taken as an example in the history of design books and there is no shortage of objects exhibited at the most; prestigious contemporary art museums in the world such as the Metropolitan Museum of New York and MomA. There are countless awards and prizes that the company has won over many years of hard work. Among the most important; It is worth mentioning three Compasso d'Oro awards: the first in 1968 for the Guscio shed designed by Roberto Menghi, the second in 1979 for the Shangai coat hanger designed by De PAs-D & rsquo; Urbino- Lomazzi and finally in 1987 for the note Tonietta chair by Enzo Mari. Founded in 1954, the history of Zanotta is marked by the important collaborations with important designers like Castiglioni and Mari, and it goes hand in hand with the history of Italian design. Pieces by this company have been awarded the important “Premio Compasso d’Oro” for three times, and are displayed in some of the most important design museums, from New York to Berlin. The company Zanotta & egrave; was created in 1954 and over the years it is has become a real point of reference in the Italian design sector. Since the 1960s, the company under the authoritative guidance of its founder Aurelio Zanotta, has begun to expand on the international scene thanks to the creation of products resulting from great technological innovations combined with attractive shapes. The Fifties and Sixties were rich in innovation and very fruitful for the evolution of modern design. Brands that were on the market at that time and knew how to understand their potentialities; they have made their way and today they impose their presence on the market with innovative and particularly coveted accessories. The Zanotta brand belongs to this category of Italian brands that has been able to win the trust of its customers through the commitment, new proposals and large investments in the research sector. The company Zanotta has always worked with renowned international designers and architects such as Gae Aulenti. Achille and Pier Giacomo Castlioni, Carlo Molino, Joe Colombo, Ettore Sottsass, Marco Zanuso, Ross and Roberto Barbieri. Thanks to the brilliant ideas of these professionals, in the history of Zanotta many products have become iconic, authentic long-sellers. The company collections currently develop in different sectors: from sofas to furniture, chairs, bookcases, tables, armchairs but also other furnishing complements. Each object is created through the use of specific technologies that allow an advanced use of traditional materials such as crystal, granite and marble, wood, leather, fabrics as well as aluminum, brass, stainless steel and bronze alloys. Over the years Zanotta has never stopped growing and it is; open to new production scenarios. It has significantly expanded the production and creation of innovative outdoor furniture objects. The company collections are continuously increasing and are constantly updated with new features; that is always worth knowing. Zanotta is currently involved; one of the most prestigious design brands at the world level and one of the most important; complete. Many projects are cited and taken as an example in the history of design books and there is no shortage of objects exhibited at the most; prestigious contemporary art museums in the world such as the Metropolitan Museum of New York and MomA. There are countless awards and prizes that the company has won over many years of hard work. Among the most important; It is worth mentioning three Compasso d'Oro awards: the first in 1968 for the Guscio shed designed by Roberto Menghi, the second in 1979 for the Shangai coat hanger designed by De PAs-D & rsquo; Urbino- Lomazzi and finally in 1987 for the note Tonietta chair by Enzo Mari.